FAQ & Pictures - Gail Nall. Looking for my bio and author photo? Click here. Hi there! Here's a handy little list of the stuff I get asked most often. 1. Will you sign my book? I wrote stories all the time when I was younger -- ghost stories, friendship stories, skating stories, historical stories -- but I never really thought about it as a career. It wasn't until I was in law school that I sat down to write a book from an idea I had, and eventually figured out that I might be able to pursue publication. 3. What kind of writing experience did you have before you started writing books? None! Aside from all of those stories I wrote as kid, that is. I did a lot of academic writing and editing work in grad school and in law school, but I never took even one creative writing class. 4. 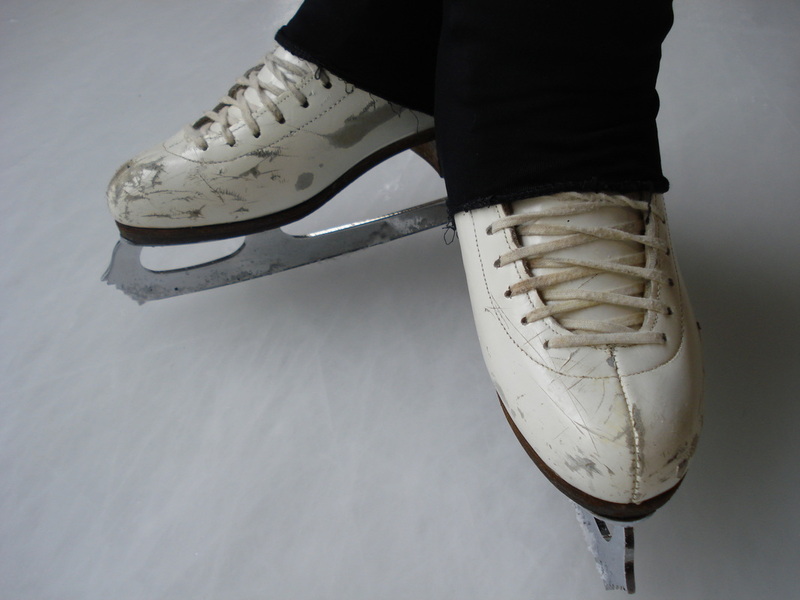 Were/Are you a figure skater? Yes! I grew up skating. I started at age 3, and skated until I was 17. I went back to the sport as an adult, and I love just as much as I did when I was younger. I was never very competitive though -- definitely not as good as Kaitlin in Breaking the Ice! 5. What was the inspiration for Breaking the Ice? I always wanted to write a skating book. I was watching the US Nationals at home, when I saw a skater receive really awful scores for her program. She and her coach put on pretend smiles, but you could see how devastated they both were. I'm sure that skater cried or yelled or something as soon as she was away from people. Then I wondered what would happen if a skater didn't wait to let out how she really felt. What if she got upset right there in front of everyone? And that's the premise of Breaking the Ice. 6. I want to learn how to skate! Um . . . how do I do that? You're never too old to learn to skate! If you hop on over to this spot on the site, I'll tell you more and give you some helpful links. 7. What was the inspiration for You're Invited? I have to give credit to my co-author, Jen Malone, for coming up with the idea for You're Invited. She thought it would be fun to co-write a book about a group of friends who start a party-planning business, and when she mentioned it to me (and of course I said YES! ), we came up with the characters and the setting and the plot and everything else needed to write the book. We like to call it a cross between The Baby-Sitters' Club and The Sisterhood of the Traveling Pants. 8. What's it like working with a co-author? So much fun! In fact, we wrote a three-part blog series about it! Part One, which discusses the concept and sale of the books, can be found here. Part Two, which covers drafting the books, can be found here. And Part Three, which covers revision and marketing, can be found here. I went to grade school at St. Bartholomew School in Louisville (which has since merged with two other Catholic grade schools), where I wore blue-plaid uniform everyday. I went to high school at Sacred Heart Academy, an all-girls school in Louisville. Then I went to college at Bellarmine University, also in Louisville, where I majored in history and minored in French. I got a masters degree in US history at the University of Louisville, and then completed a law degree at the Brandeis School of Law at UofL. 10. Will there be a sequel to Breaking the Ice? Breaking the Ice was written as a standalone novel. But, you never know . . . As Kaitlin would say, fingers crossed! 11. Will there be a sequel to You're Invited? Yes! The second book will be out on February 2, 2016, and it features Sadie, Lauren, Becca, and Vi getting into a whole new type of party planning. Click here for more information. 12. Can you come to my school/Scout troop/library? Yes! Please look here for more information about school visits and workshops. 13. How much money do you make writing books? 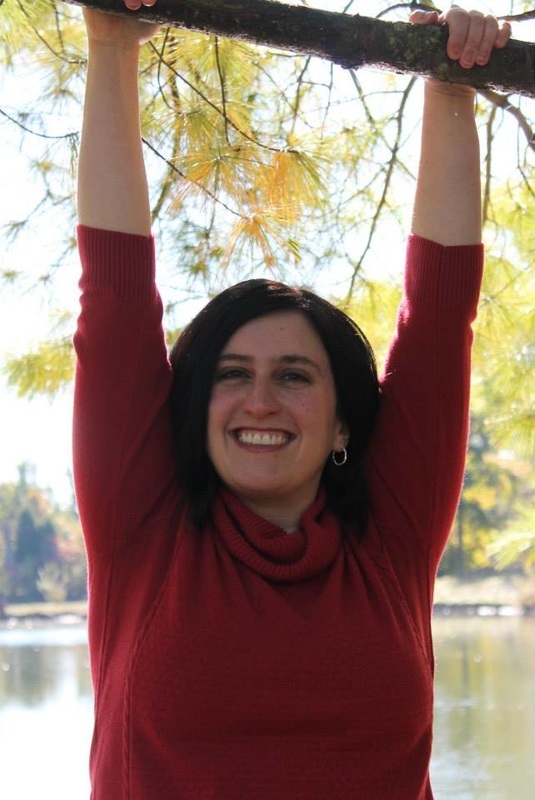 Check out this great blog post from literary agent Jennifer Laughran about advances and royalties. 15. How do you get a book published? If you're writing for children or teens, I highly recommend joining SCBWI. Their conferences are top-notch, and the support and community you'll find there is inspiring. 16. What do you like to do when you aren't writing? When I'm not writing, I'm a mom and a grant writer at a non-profit. I love to skate (of course! ), hike and camp, read, watch TV, sing in my car, attempt to grow flowers in my garden, and take road trips. 17. Can I interview you? Contact me here for interview requests. I wish I could agree to all requests, but the reality is that there are only so many hours in the day to write, be with my family, and work my day job. I try to do as many interviews as possible, depending upon my current schedule. The author in her formative years. With a horse (not hers). My skates. The gashes are from poor jump landings. Hiking in Rocky Mountain National Park, Colorado. 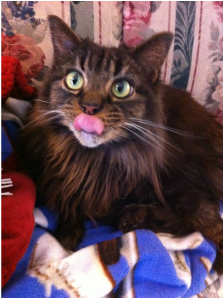 This is Luna, one of my cats. She's named after Luna Lovegood from the Harry Potter books. 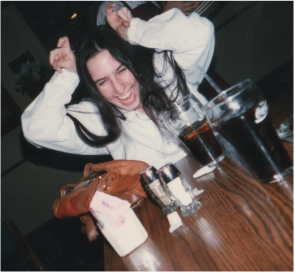 Teenage Gail being weird at Denny's. Hanging from a tree, as you do. 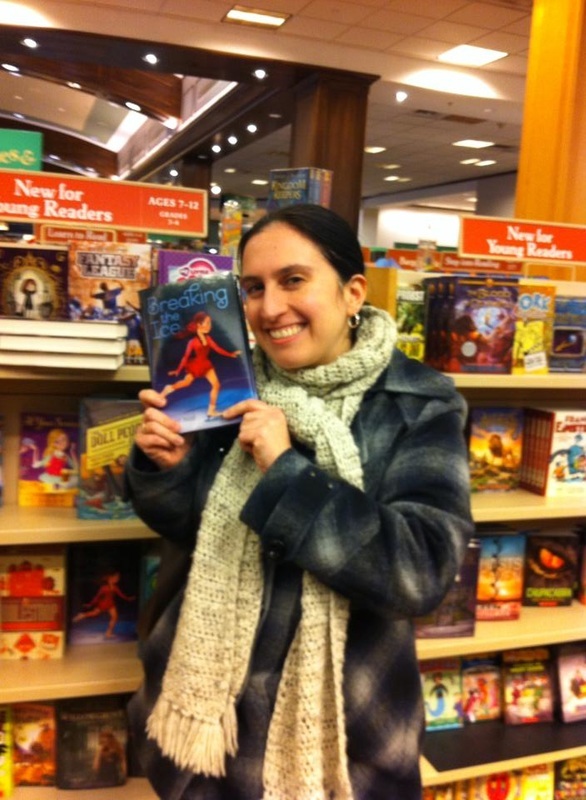 Seeing Breaking the Ice in a bookstore for the first time! In four states at once! 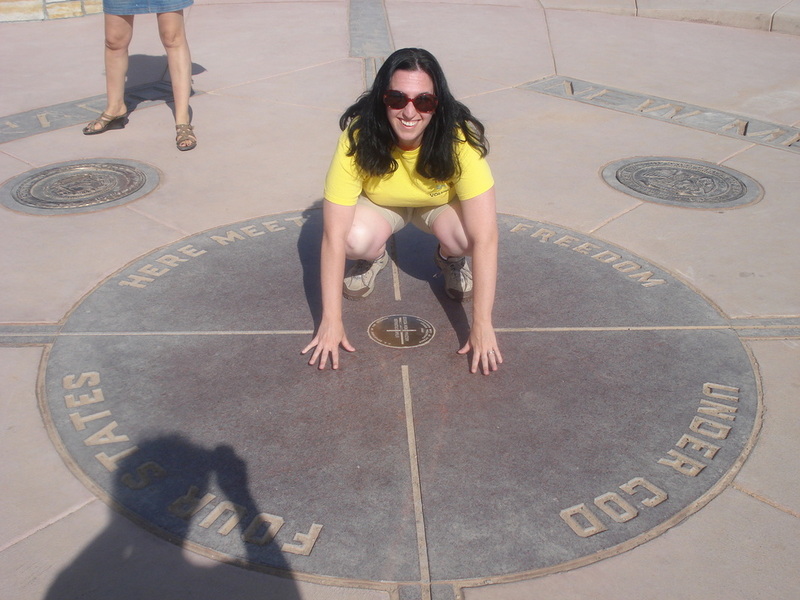 Four Corners, USA. All images copyright Gail Nall. Please ask before using any images.